Kelly Stand Road traverses the higher elevations of southern Vermont, from Arlington in the west to Stratton in the east. It's a bumpy ride, but a beautiful one. This is a somewhat well-hidden overlook taken from the road, looking west towards the Taconic Range along the New York / Vermont border. You can see that the trees in this area had already moved on to "stick season" even though it was only October 7th when I took this shot. 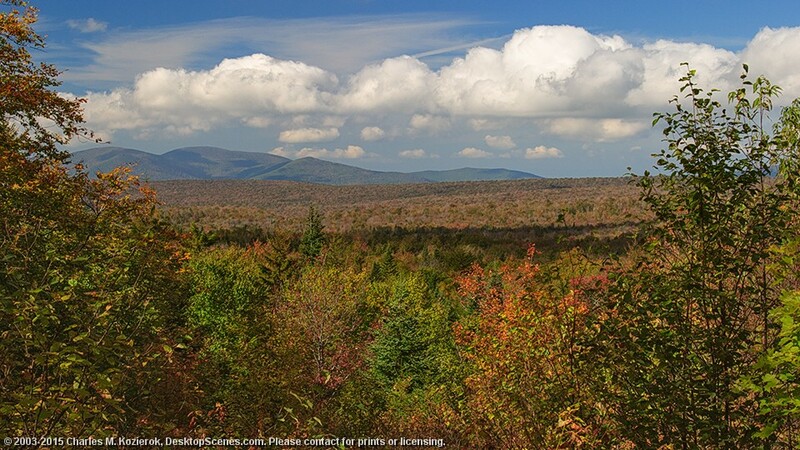 The combination of colder temperatures and higher winds often results in foliage season ending early at the higher altitudes of the Green Mountains.